We want to make your stay in our homes easy and relaxing no planning meals, doing dishes, or grocery shopping! We offer a wide range of dining options from all inclusive dining or a la carte meal services. to food stocking and meal delivery. Let us know how we can make your dining experience a great one! Relax Resort style in the privacy of you own vacation rental home! Our ALL INCLUSIVE Private Chef service offers guests a resort dining experience in the privacy of your Villa. 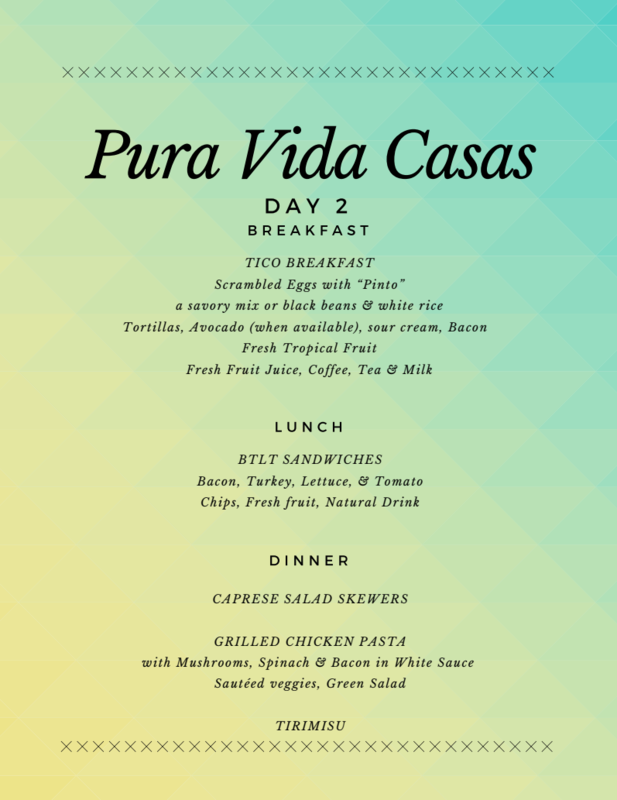 Our all inclusive service offers guests the chance to experience all the local colors & flavors unique to Costa Rica while allowing you to enjoy some classic dishes from back home. 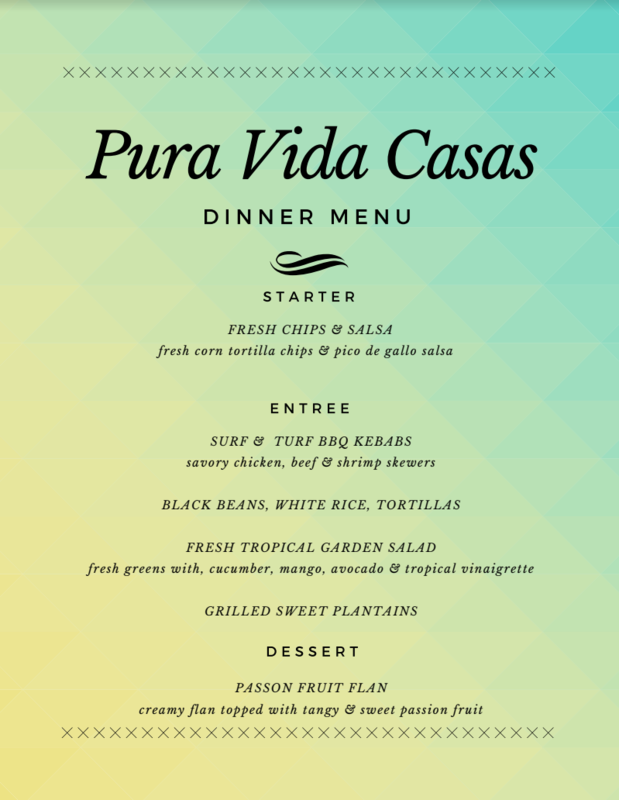 You will be served 3 wonderful meals per day selected from one of our pre-set menus or you can customize your own! No worries we offer, GF, Vegetarian & Vegan options. Contact us today to plan your Custom Dining Experience! ​by choosing ALL Inclusive Dining! For this service we sell "Beverage Cards"
These can be purchased before and at any time from the kitchen staff. our a la carte services offer you access to enjoy Private Chef services during you stay with us! 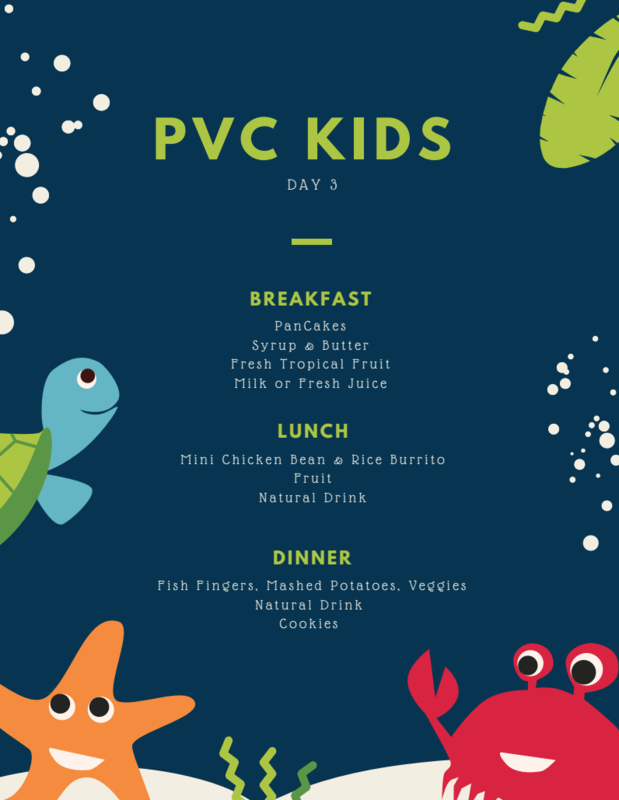 Please see our standard rates and meal options below. Contact us now about your custom Dining! Want a More DIY Dining Assistance? If you wish to have a more "Do it Yourself " dining experience with us we would love to help and do some grocery stocking for you so that the home is full of all your favorite food just waiting for you to cook upon arrival. 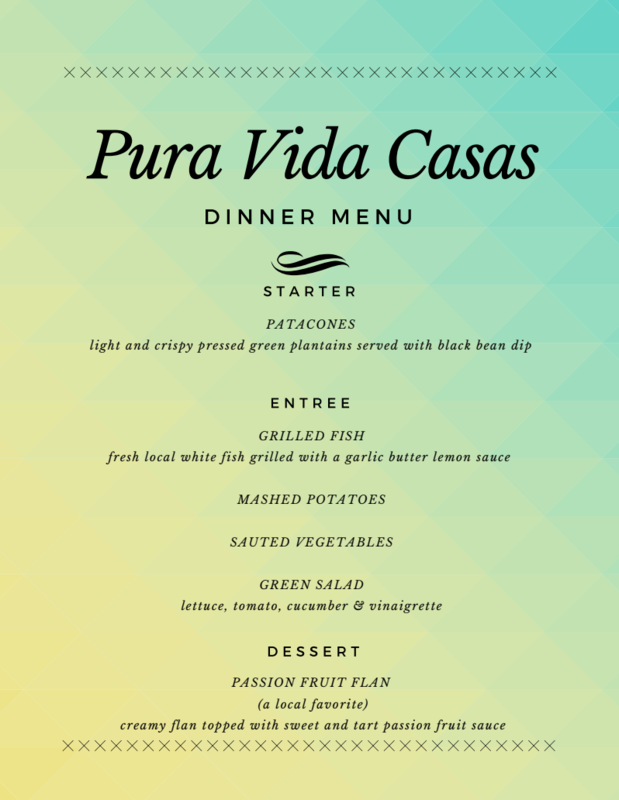 Here is a sample shopping list for you to fill out and email to info@puravidacasas.com prior to your arrival so we can have the home ready for you. The list is just a starting point so if you need something not shown here please let us know and we will do our best to find the items for you.